Salford’s architctural heritage is eclectic, to say the least. It’s not just Victorian mills and terraced housing, or shiny new development. 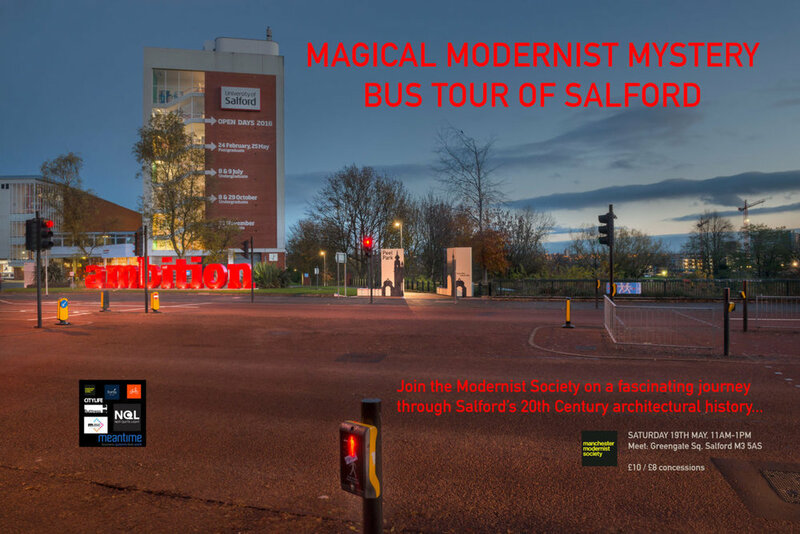 This guided tour on a double decker bus, hosted by Eddy Rhead and Not Quite Light, will take you on a fascinating route through Salford’s modernist architectural history, including stop offs at Salford Precinct, Broughton Baths and Strangeways. The tour will end with a short walk around the Strangeways area.